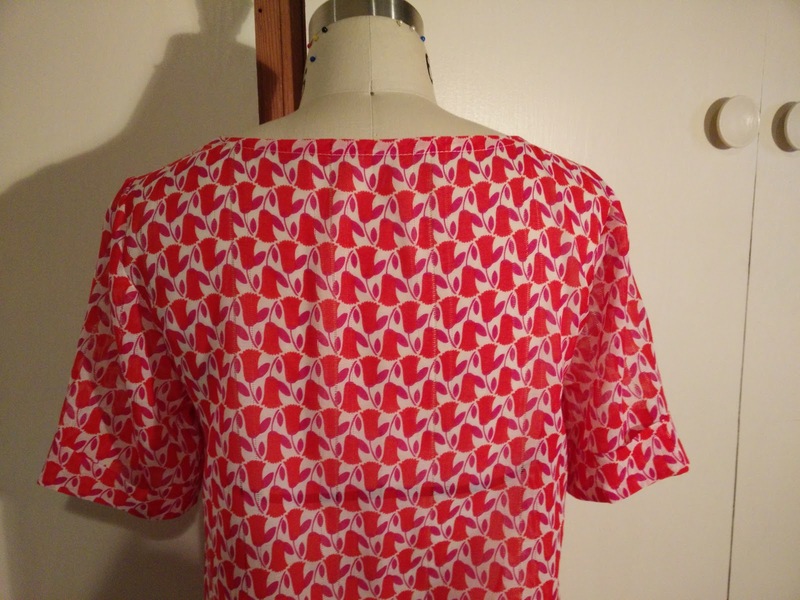 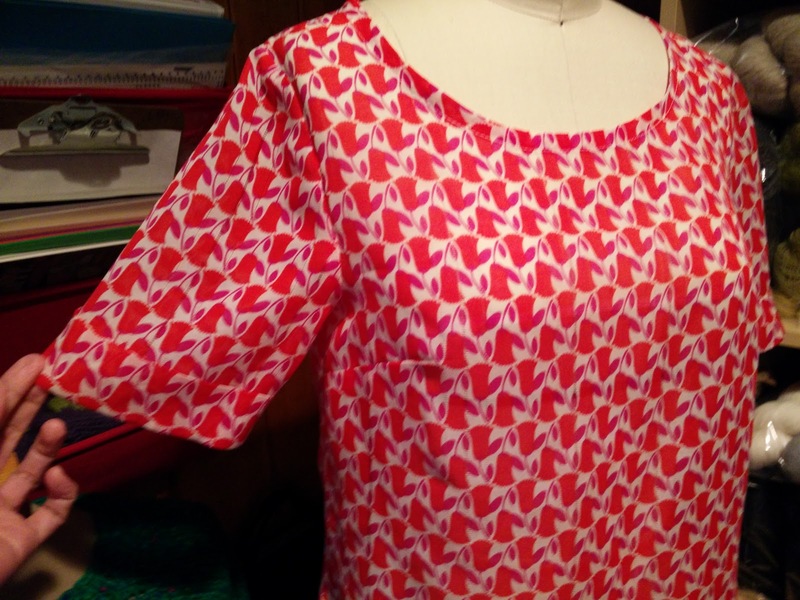 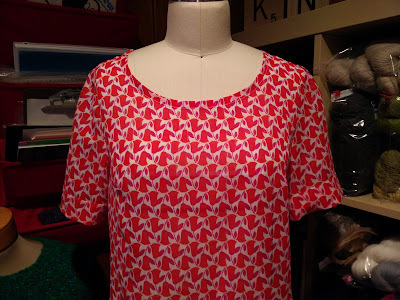 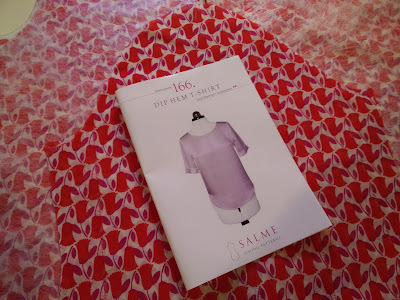 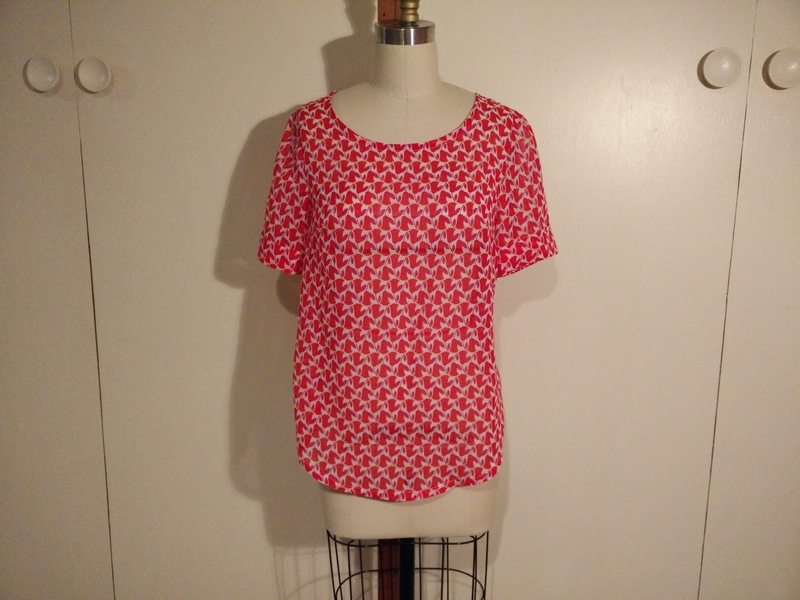 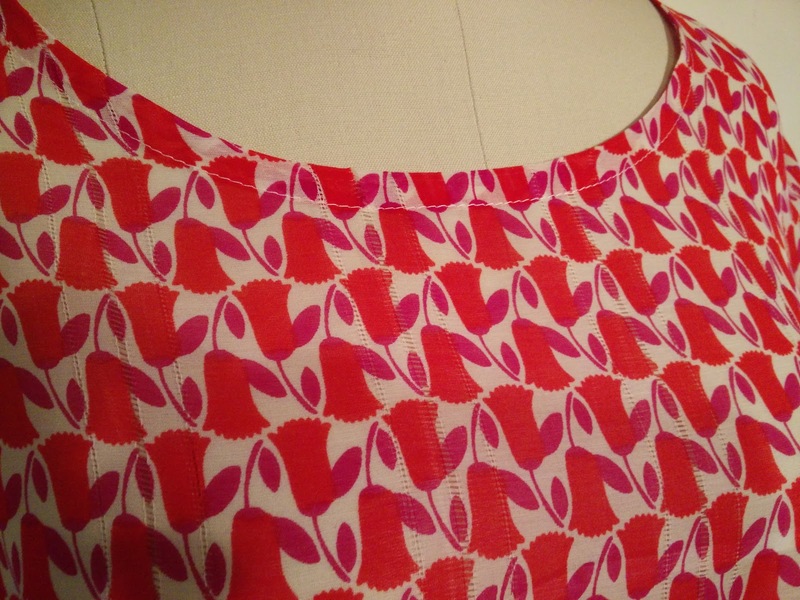 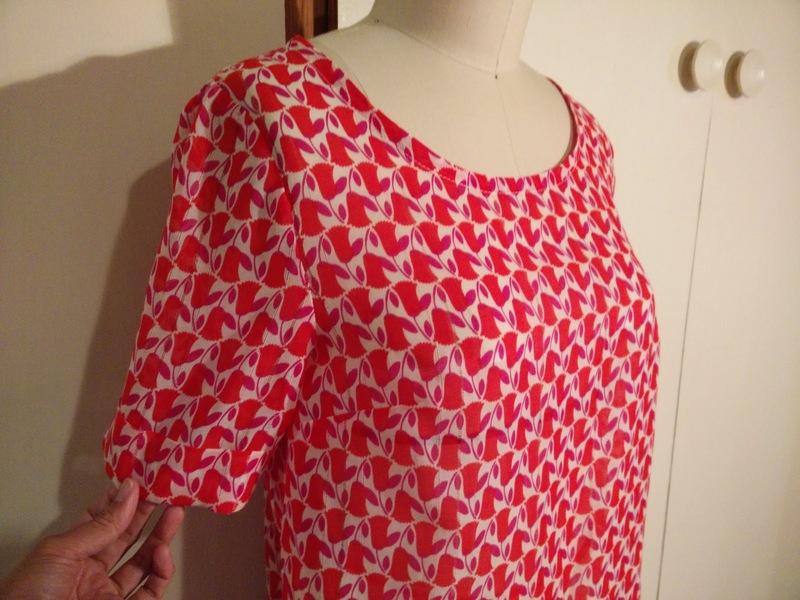 I finished another Salme pattern over the weekend, this time the Dip Hem T-Shirt. 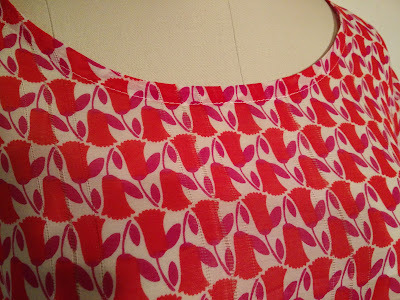 I had this red and purple floral Anna Sui cotton/silk that's been in my stash for years and thought it would be perfect for this project. 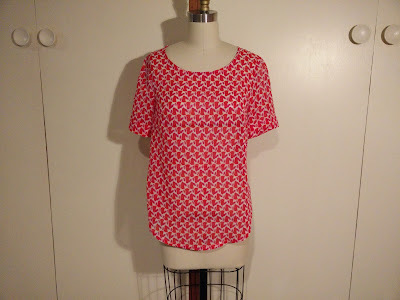 The directions were straightforward, though I thought the steps for sewing on the sleeve were weird and just did it the way that made sense to me. 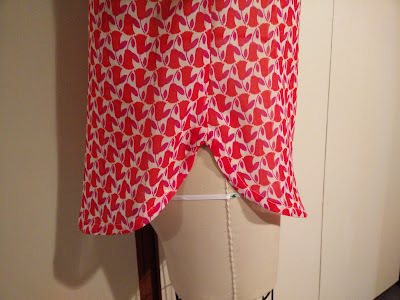 The back hem was much longer than the front and I ended up altering it to make it the same length as the front. I like this pattern and will probably make another version for summer.